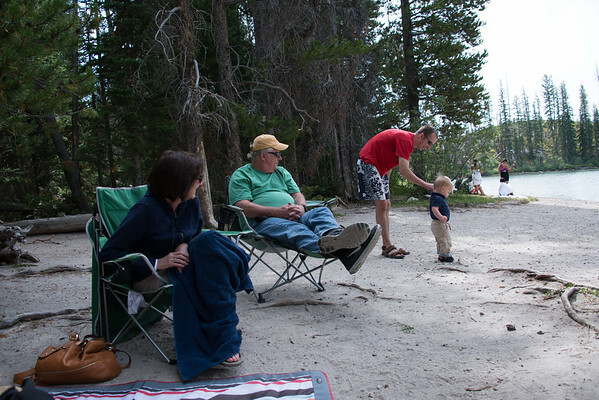 This tow truck and car are the only two toys we brought with us for Cooper. 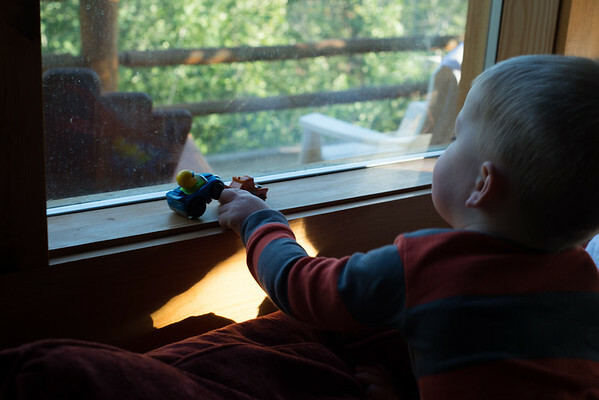 He played with them for hours in the window sill and loved it when Nana would hook the car up for a tow. 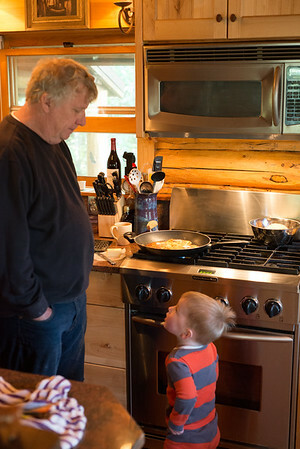 Cooper loved to chat it up with Pop-pop in the kitchen. Pop-pop made Cooper and the rest of us some very tasty food during our trip. 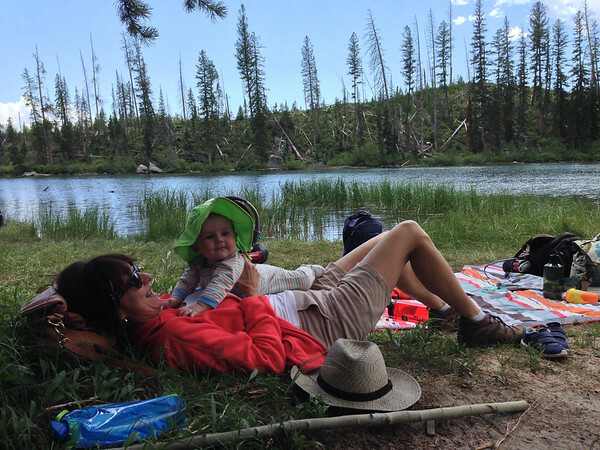 We headed to String Lake for some water and sunshine time in Grand Teton National Park. Nicholas enjoyed tummy time with Nana. Last year repeatedly stepping over a root kept Cooper entertained. 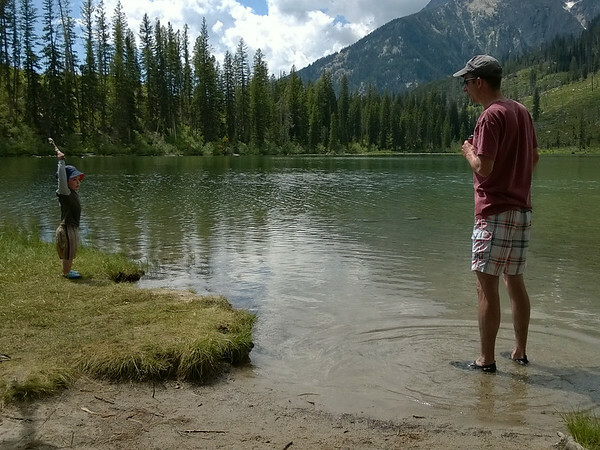 This year it was throwing sticks in the water and then going in to retrieve them for another toss. 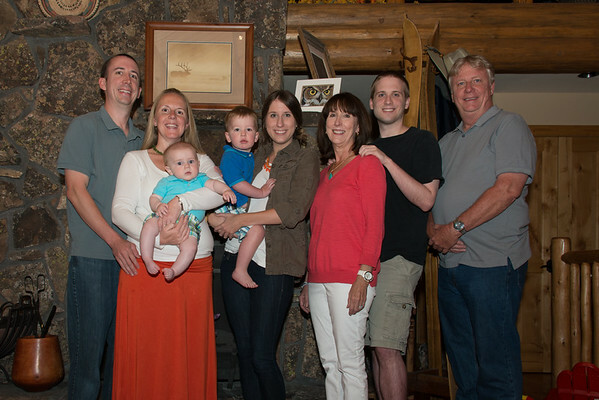 It was really nice to have the whole family together in Jackson. This evening we headed out to The Kitchen to celebrate Catherine and Charlie’s birthday. Cooper loves to celebrate birthdays! 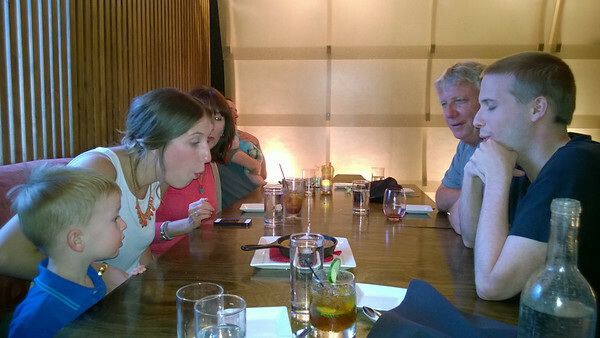 To get to celebrate two birthdays in one night was a big treat. They even let him help blowout the candle in their freshly baked chocolate chip cookie dessert. After bedtime, Nana and Pop-pop stayed home with the kiddos and we were able to go out for some drinks in town with Rob’s siblings to celebrate.